Geosite	Slieve Carran	Slieve Carran Nature Reserve, managed by the National Parks and Wildlife Service is part of the East Burren Complex Special Area of Conservation and is home to three distinct vegetation communities and a significant Early Medieval heritage site. Slieve Carran Nature Reserve, managed by the National Parks and Wildlife Service is part of the East Burren Complex Special Area of Conservation and is home to three distinct vegetation communities and a significant Early Medieval heritage site. In this unique landscape plants normally found on the high, snow capped mountains of the Alps grow beside plants from the Mediterranean coast. Also plants that like to grow in lime rich soil are found beside plants that prefer acid soil. 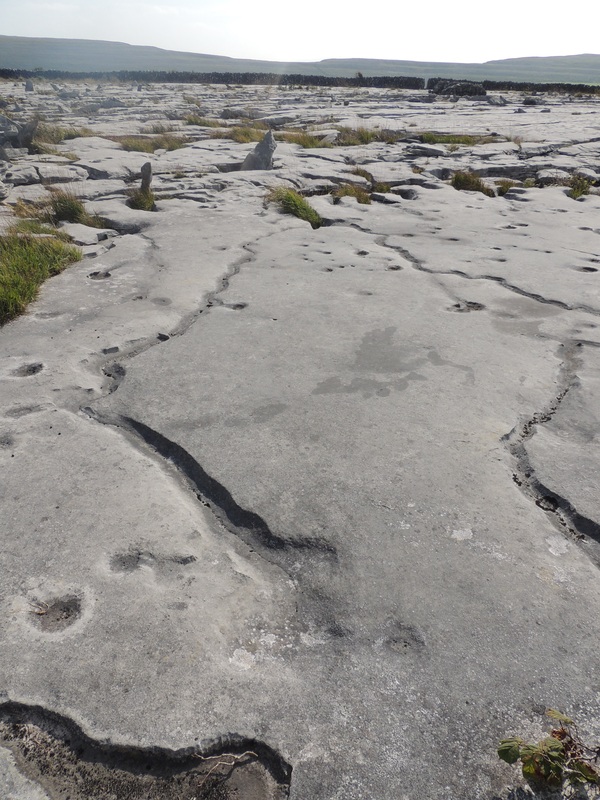 Woodland plants grow on the exposed limestone pavement. Rare fungi and lichens shelter within the Ash /Hazel woodlands. 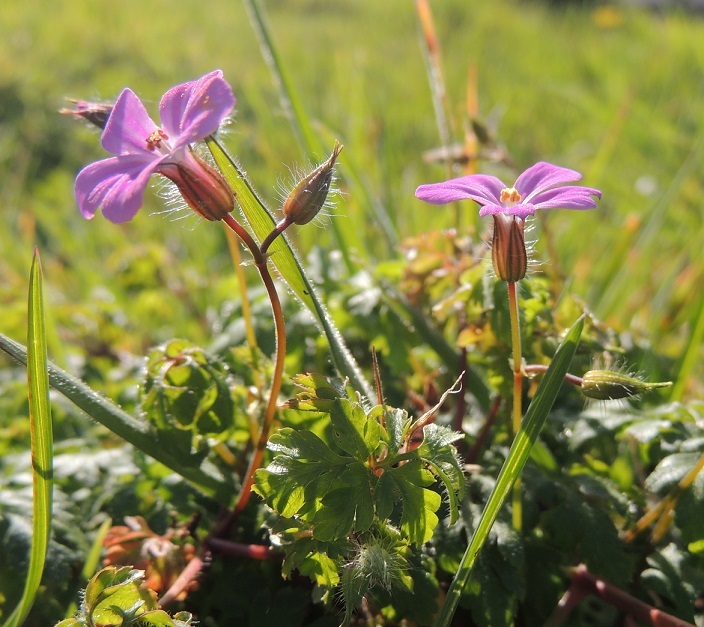 Many of Ireland’s native orchid species flower in the dry, lime-rich grasslands. The cliff above the Reserve is called ‘Eagle’s Rock’. Although the Eagles are no longer here, you may see Ravens, Peregrine Falcons or Kestrels. Feral Goats often feed on the sheer grassy ledges. In good weather, Slow Worms and Common Lizards sunbathe on the rocks. The perfume of the numerous meadow flowers attract Butterflies, while scurrying among the grasses and soil are a huge variety of invertebrates, prey for the songbirds whose music fills the air. St. Colman MacDuagh built a small wooden chapel below the cliff at Eagle’s Rock around the end of the 6th century AD. He chose this remote place, surrounded by the beauty of nature, to live as a hermit, devoting his life to prayer and spiritual contemplation for seven years. 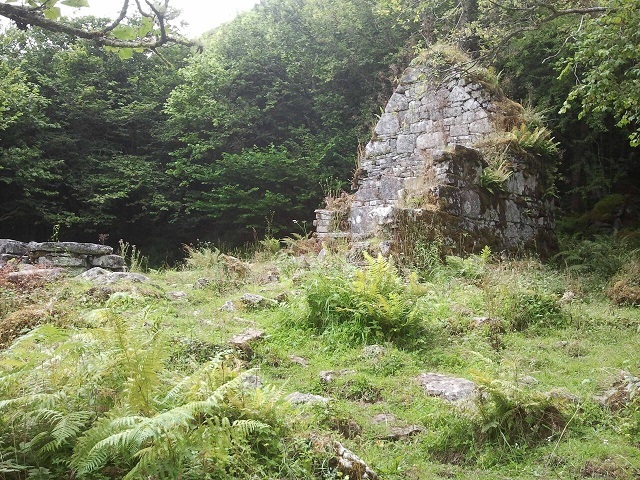 The ruins of a later stone church are visible today, along with a holy well and cave where the saint is believed to have slept. Local tradition tells us during a 40 day fast by St Colman and his servant, the servant weakened and prayed for food. Meanwhile in Kinvara, King Guaire was hosting a great feast. Suddenly the dishes of food rose up and flew in the direction of Slieve Carran. The King and soldiers followed in pursuit. As they approached the hermitage, the horses’ hooves stuck in the rocks, while the servant devoured the food. Hollows in the smooth limestone pavement are said to be the imprint of the hooves.